Worcester, Mass. 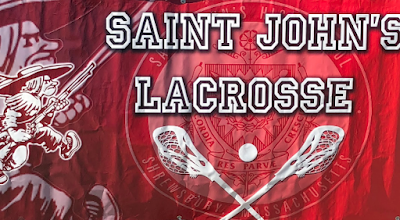 - The St. John’s (Shrewsbury) Pioneers handled the Minnechaug Falcons, 13-5, Tuesday at Assumption College. The Pioneers overcame not only the Falcons, but also the heat for a memorable senior day win. Junior Colin Deso put the Pioneers in the board first, followed by a goal from senior Luke Anastasi, which presented a 2-0 deficit for the Falcons. Senior Ethan Moretti scored the first goal for Minnechaug with 2:20 to go in the period. His teammate and captain Eddie Warst punched his first shot of the afternoon behind the SJ goalie to tie the game. 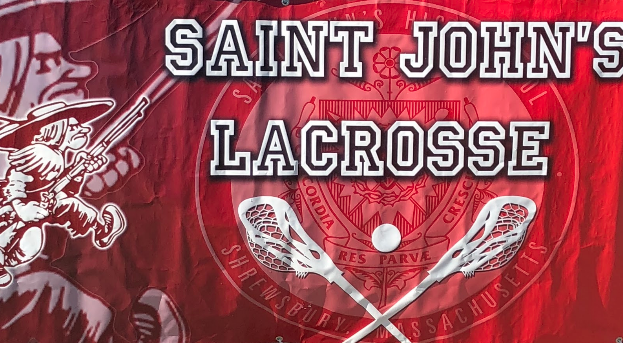 St. John’s displayed overwhelming dominance over Minnechaug in the second quarter. Five goals were scored from four different players. Teagan Callahan got it going for the Pioneers four minutes into the period. Senior captain Jack Donahue followed his teammate’s goal by scoring twice in under one minute. Then, the Pioneers started pulling away when sophomore Owen Boss scored across the goalie’s face, giving St. John's a 7-2 lead heading into the much needed break. The Pioneer attack wasted little time to pick up where they left off. Junior Charlie Davidson got himself going a minute into the quarter by scoring his first goal out of his hat trick. Senior Brandon Vreelan had an answer however, as he ended the scoring drought for his team and scored his only goal on the afternoon. Teagan Callahan scored off a deflected shot by Jack Donahue, which gave the Pioneers a 10-3 edge. Charlie Davidson found a way to score two goals and assist in sophomore Will Craemer’s goal, sealing the victory for the Pioneers. It was a great team victory for St. John's in the regular season finale, just a week out of the approaching playoffs. The Pioneers enter the postseason with large aspirations, and sizable momentum.